Meet Gus, the Haven of the Ozarks Pet of the Week. 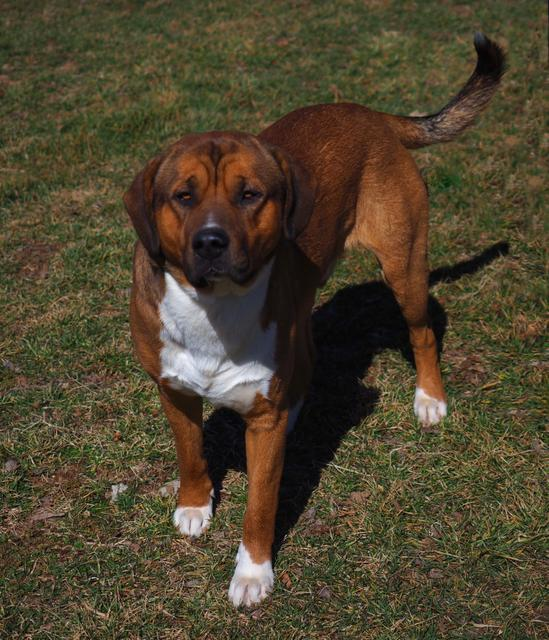 Gus is a gorgeous one year old boy who is believed to be a Rottweiler and Boxer mix. He's a big, lovable guy at 80 pounds. Gus is crate-trained, has been started on his housetraining (but shouldn't be left loose unattended just yet) and gets along well with many other dogs as long as they know he's the alpha. A meet and greet with potential canine siblings is recommended to make sure they're a good match. Gus is a really wonderful boy and is looking forward to finding his forever home. Haven of the Ozarks is open 9 a.m. to 4 p.m. each day of the week or call (417) 835-3647 for more information. Haven of the Ozarks Animal Sanctuary is located at 9617 Farm Road 2190 in Washburn. Visit them online at www.havenoftheozarks.org.